How Much Money do Libraries Spend on e-Books? A staggering 95% of all libraries in the United States have an e-book collection. Sometimes we take this granted and get irked that there is a long waiting list for a New York Times bestseller. Why can’t libraries simply have enough titles to meet the demand? The answer, is that libraries are gouged on the price for digital content from the publishers. 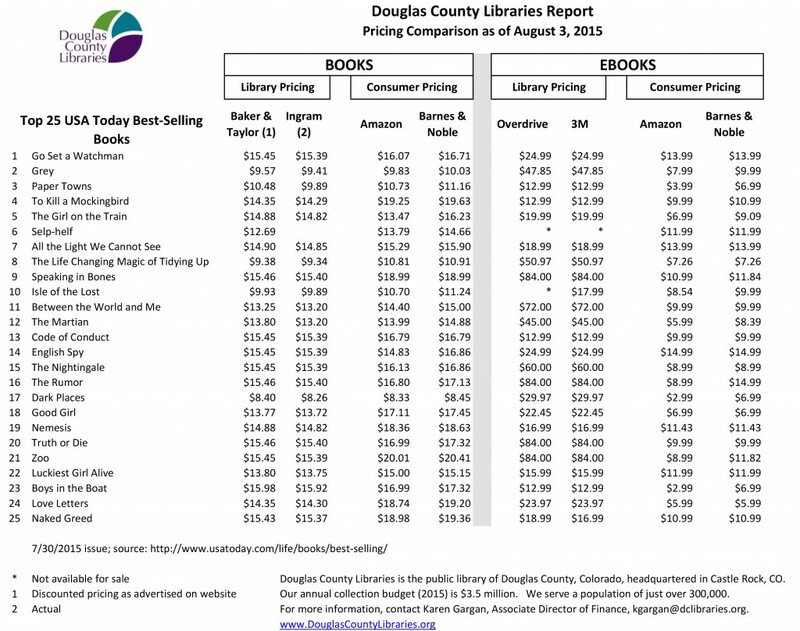 This might surprise a fair amount of people, but the average library paid six times the consumer price for e-books on the USA Today bestseller list. This is not greed due to distributors such as 3M, Baker & Taylor or Overdrive, but the publishers. When a bookstore orders a hardcover or paperback book they normally get it for 45% less than the sticker price. This gives them the ability to make a small, but meaningful profit. Libraries on the other hand are paying $72 for Between The World And Me: Notes On The First 150 Years In America by Ta-nehisi Coates, whereas Amazon charges the reader $9.99. If you are a self-publisher going through Smashwords, you set the library price.